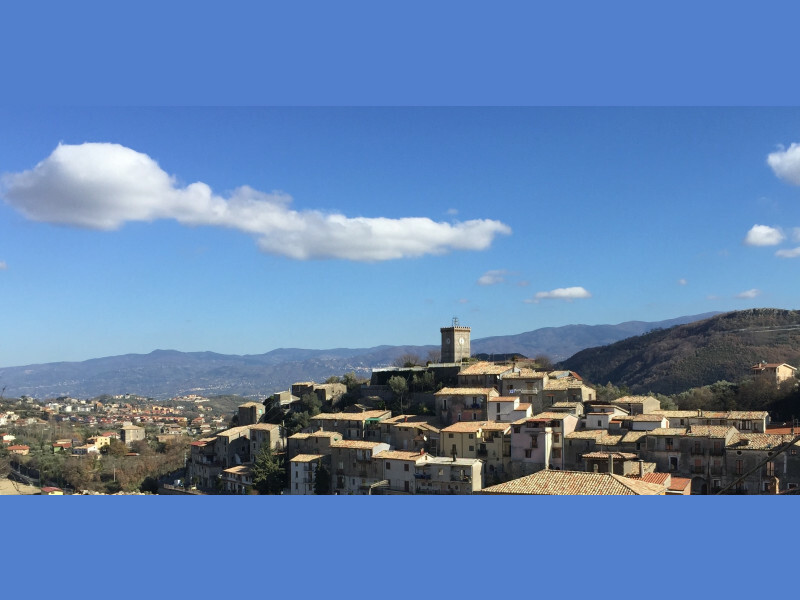 Mendicino is a small town of Cosenza, site at the foot of Cocuzzo Mount, not far from the sea and a few kilometers from the city of Cosenza, surrounded by green spaces, olive trees, fig trees, vineyards, fields sown with wheat and farmhouses on the hills. The view on ancient town culminates with Clock Tower (1907). On a slope, "Castello" district runs along the route of ancient Wall, to which rest its oldest buildings. An avenue connects Duomo Square to small St. Catherine’s Church. Along the way and the main square facing instead nineteenth century buildings, characterized by portals and stone staircases and wrought iron balconies and terraces. Among the most interesting monuments, Campagna-Del Gaudio Palace, noble residence of late eighteenth century, with a courtyard of horse chestnuts and side stone porch; St. Nicholas’s Cathedral, distinguished by a facade of limestone blocks and a bell tower; St. Peter and St. Bartholomew’s Church, built on the ruins of Dominican Monastery and destination for visitors in Christmas season because of artistic Nativity scene by local artisans; St. Sebastian’s Church and, on the eastern side, St. Mary’s Sanctuary, in Gothic style. Mendicino has a Silk Museum, precious example of industrial archeology, inside of which were recovered ancient mills, uses and production of its traditional sericulture and filature.